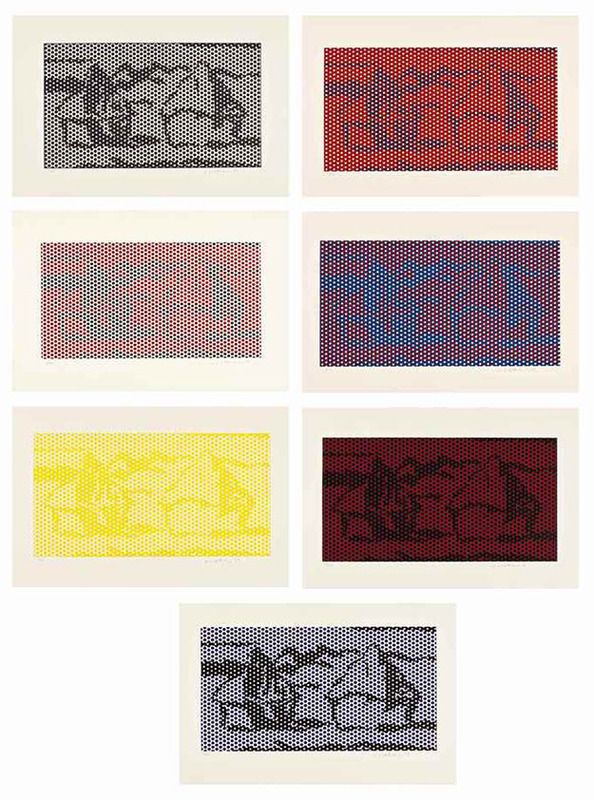 Description: The complete Haystack Series of six lithograph and screenprints in colors, on Rives BFK paper, and one relief print on wove paper. Each signed, numbered and dated in pencil. Published by Gemini G.E.L., Los Angeles. Image: 13.375 x 23.5 in. Sheet: 20.625 x 30.5 in.